So Saturday was the big weigh in day. Can you guess what happened? Of course you can. I, the human yo-yo, yo’d back up. Because that’s that I do. Ugh. So I’ve done a little soul searching, trying to figure out why I cannot seem to get my weight loss efforts to lead to any real success. Ultimately, I know it comes down to self control. Everything does right? I’d like to tackle all of those really obvious self-control weight-loss-related issues that I have… like I’d really love to not eat the whole pint of ice cream. And I’d really be impressed with myself if I could not eat half the wheel of Brie during West Wing. Those things would seem like really big accomplishments to me. But I think I’m going to have to start somewhere a little more fundamental… I need to wake up early every day. Here’s what I’m thinking: most days, I don’t get out of bed until I HAVE to, right? I am not a morning person. And it takes me a good 30 minutes at least to have a coherent thought. Until then, I’m pretty awful. I’m grouchy, groggy, and I’m so stiff it feels like I’ve been hit by a train in the night– which only contributes to my grouchy grogginess. Anyway. That rough start usually leads to a rough day. Since I don’t wake up until the last minute, I usually don’t take the time to look nice or eat a good breakfast. So I feel ugly and hungry by mid-morning. Plus, I (of course) haven’t exercised. Is it really any surprise that I’m over eating emotionally by lunch time? So I think the first step I have to make, have to conquer, is waking up early enough to A) exercise, B) shower, do my hair and make up, and C) eat breakfast at the table. Forget calories, points, and all that for the next month. These are my only 3 goals for every single morning in May. I’ll check in on Instagram, ok? Elliptical and Smoothie shots comin’ your way daily! I love this smoothie. It’s one of my favorite breakfasts, especially in the summer. 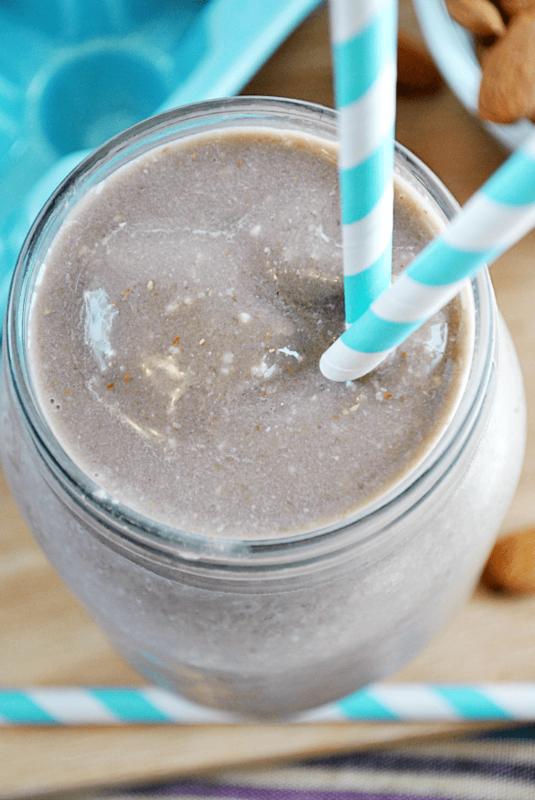 The frozen bananas and chocolate almond milk make it taste like a yummy milkshake. The almonds add an extra punch of protein. And the oatmeal… I don’t even know exactly what it does for you. But if you want to read up on why I love raw oats for breakfast, check out this post! It’s one awesome food. This recipe is for a single serving, and I don’t recommend making it in a large pitcher blender unless you’re making more than one serving. Instead, use a single serve blender if yours has one. Or you can use this single serve mason jar method that works with most standard blenders (like Oster). Don’t let the yo-yo effect being you down. It happens. I’m loving the sound of dedication! While the goal doesn’t seem too complicated, for non-morning people like you and I, getting up early in the morning is all the workout I need for the day. I’m sure starting right and getting a jump on the day makes all the difference though. Here’s to hoping you find your groove! The smoothie sounds crazy good. I’m going to start buying almond milk next week and I’m definitely going to give this a try. I also have a birthday gift from my mom in the form of a sweeeet Ninja blender coming next week, so I’m going to be right there with you trying to eat better with the help of a few liquid meals. Can. Not. Wait. Everyone has ups and downs. Don’t get discouraged, it will happen! The best part of this all is you are mentally prepared to go the distance! I think this is the kind of breakfast for me. 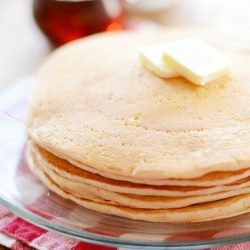 I am not a big fan of breakfast, something I can slurp down is the best thing ever! You sound just like me, I am not a morning person either. I wish I were. I am finally back on my diet but I am a stress eater. I’ve decided I need to find different ways to deal with stress, easier said then done. Your smoothie sounds perfect to start the day. 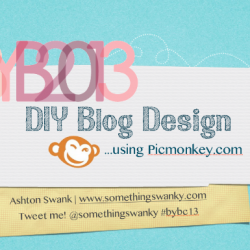 Pinning to make very soon. I love your blog and all the recipes you post. I’m sure you will have success in your goals. Try adding a scoop of protein powder to your smoothies in the am-your body needs a recharge after sleeping and it will help kick start your metabolism. Also try doing some weight training, muscle burns through fat better, and it will help gain some definition that will boost your mood. I have been where you are. Good luck and be positive! You are too young to be stiff and feel like a train has hit you. That is how I feel!!! Hahaha!! Not a good feeling either. Not a morning person either but I am up every Tuesday thru Friday at 5:30 to take my son to school. Not fun! Don’t worry about not losing, been there and doing that! I do WW and still have a bad week! Just think one day at a time. You can do it! Girl- I am right there with you. Over the past 6-8 months, I have put on 10 pounds and I am back up to my “lifetime goal” weight. I got my lifetime membership over 2 years ago after achieving a 100 pound weight loss. I am feeling awful about myself, because I know how long it takes to loose that 10 pounds, it took me about a year the first time. Now I am struggling because I use every excuse to eat a cupcake for “research” and I am back in the habits of eating things like pizza which I didn’t eat for 3 years. I woke up this morning and said to myself, “this is the first day of my summer and I am going to start loosing again”. So instead of tediously tracking every point, I too am focused on my exercise and making it a goal to work out as many days as I can. I read your articles about this and you are motivating me! I hope you can feel the motivation within yourself, you CAN DO IT! Wow! So impressed with your tremendous weight loss!! I know those stubborn 10 lbs must drive you nuts, but you’ve already accomplished so much!! The funny thing is that my “blog food” really has so little to do with my weight– I’m just such a social eater! Even if it’s just my husband, I feel like we should be eating together. It’s a mentality I’ve fought for a looooong time, and just can’t seem to find the answer to yet! Thanks Ashton, it certainly has been an adventure. I know it sound silly to complain about putting 10 lbs back on, but it’s the feeling of letting myself slip away from something I worked so hard for and it is that much harder to loose again! I know what you are saying with the social eating. Eating should be a joyous and relaxing occasion instead of thinking about the calorie intake. Keep up the good work and I look forward to more of your skinny Saturday posts! I am so not a morning person either. I used to workout in the mornings and once you get going it isn’t that bad, but I made the mistake of stopping and now I just can’t seem to get back into it. Good luck! OMG, Ashton, I feel you. I used to be SO good with self-control. I could look the gooeiest, fudgiest brownie in the eye and be like, “meh” and grab an apple and be satisfied. And then I randomly began backsliding and now I have NO idea how to get that willpower back! I can’t NOT snack and nosh on everything.. it’s my weakness! Ugh. Whyyyy do calories have to exist?! So lame, science. In other words, LOVING that this is skinny. I’m dying for some delish skinny treats to get myself skinny again! My willpower ends about 6:15 each morning, when I first open my mouth to put something in it. I made this today for my post-workout snack and it was AMAZING. 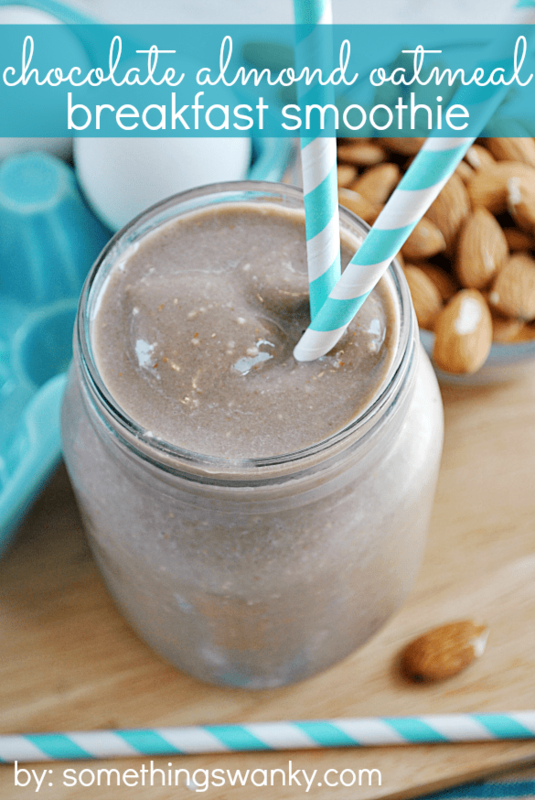 This sounds delish, but I hate to tell you that chocolate almond milk has TONS of sugar. For a healthier start you may want to try the unsweetened almond milk and add liquid stevia drops to sweeten it. The liquid stevia has NO bitter after taste. And cocoa for the chocolate fix. Thanks Lisa!! I know it’ll make a huge difference if I can just keep it up! I think it’s what really spurred my weight loss on last year. I’m almost messed it up today (only day 2!! ), but thank goodness we had a flexible morning! Going to be early is the trick… and tricky! I’m usually up working until about 12am. Uggghhh…. shoot me. I am so impressed with you! That’s totally where I want to be! You don’t add ice or anything? Just the frozen bananas are enough to make it a smoothie? Keep up the work! I know it’s hard, I’m struggling too. But it’s a healthy lifestyle, not a crash diet. The long run results will be great!! Yep! Just frozen bananas– it’s my favorite smoothie :) Super creamy! I am not a morning person either & GREATLY appreciate your sharing this! Looking forward to giving a try! Step away from the chocolate almond milk! Full of sugar with very low protein. Try regular skim milk with a scoop of HIGH QUALITY chocolate protein powder.